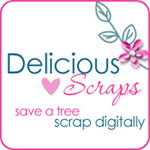 Delicious Scraps: Commercial Use - November's GrabBag is Here! Commercial Use - November's GrabBag is Here! November CU Grabbag is here!! =) 17 great CU items! love your stuff. can't wait to unwrap! I love your job, thanks so much!! It's Christmas for me again....well at least that's how it feels to me! tyvm for sharing! Ooooooo-Hooooooooo! A bag chock full o' goodies!!! Thanks so much!!!! I love your goodies :-). What a Fantastic CU freebie! I';m interested in findout out what's in this bag. Thank you. I love your work! Can't wait to peek inside! Thanks so much! Hi, grabbed some grab bags. Love your site. You're amazing. Thank you so much. Just discovered your grab bags - what a fabulous idea! Thanks so much, can't wait to see what they are.